Editor’s note: Southern Glossary is a web-based magazine experimenting with different approaches to arts coverage. With a blend of feature writing and blogging, Southern Glossary hopes to provide wide-ranging communication among artists, performers, and art-lovers across the region. In the City that Care Forgot, sometimes it feels like you have all the time in the world — but sooner or later, exhibits close and the final curtain falls. Southern Glossary and NolaVie are partnering to provide an alternative to the standard arts review. Our monthly Last Call column will give readers fair warning and convincing reasons to catch an event before it’s lights out. The photographs in “Service,” an exhibition by artist Paul Solberg currently on view at the Boyd Satellite Gallery, look like something you might find in an old family photo album. 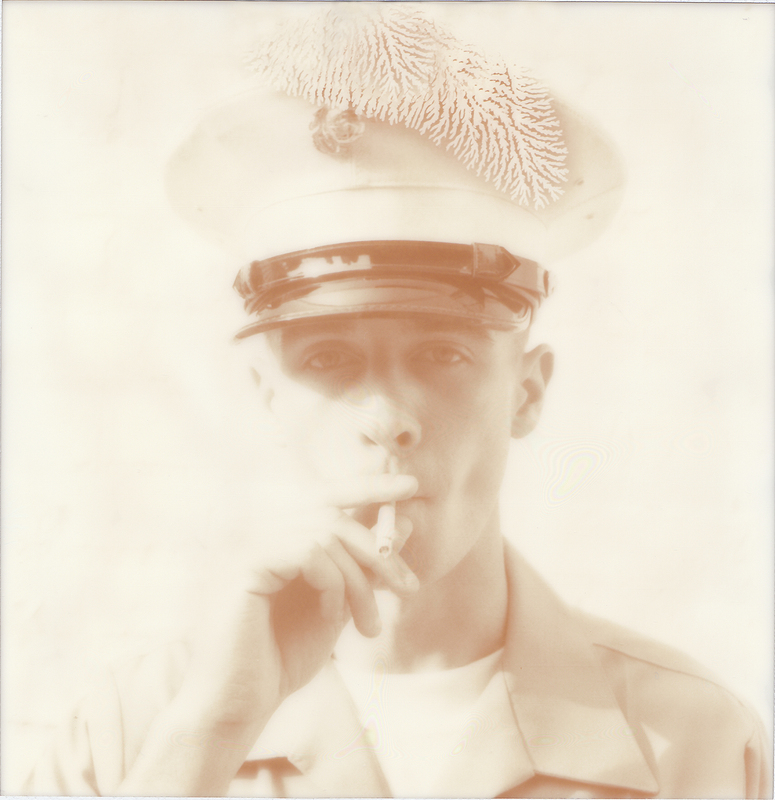 Young American servicemen — sailors, mostly — are depicted in ghostly black-and-white portraits that are often marred by imperfections. Service debuted last spring at New York City’s Casa de Costa gallery (where it garnered attention from the Huffington Post and New York Daily News, among others), and New Orleans audiences still have a chance to see Solberg’s unique tribute to these men in uniform before the show comes down at the end of the month. 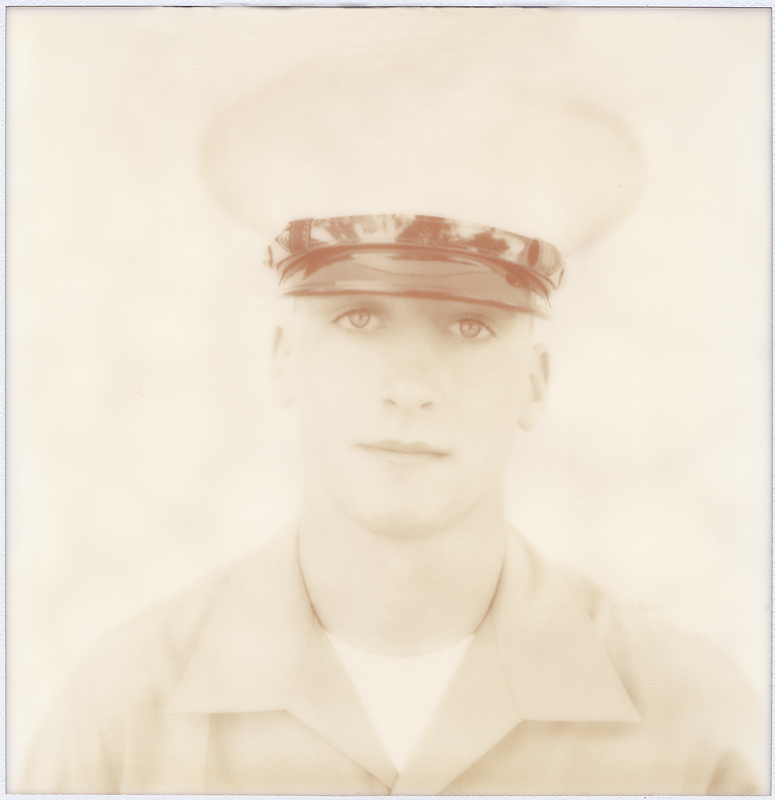 Though the photographs featured in Service resemble decades-old remembrances from the World Wars-era, they actually only date back as far as 2010, when Solberg spent four days bicycling around Times Square during New York City’s “Fleet Week”, an annual Memorial Day tradition that honors American seamen. The stark nature of the portraits is suggestive of service during wartime, which seems far-removed from the revelry of Times Square and Fleet Week, but is still an accurate, honest portrayal. Within this context, Solberg effectively historicizes the present, perhaps offering a glimpse of how future generations might look back at the men who now serve on their behalf. 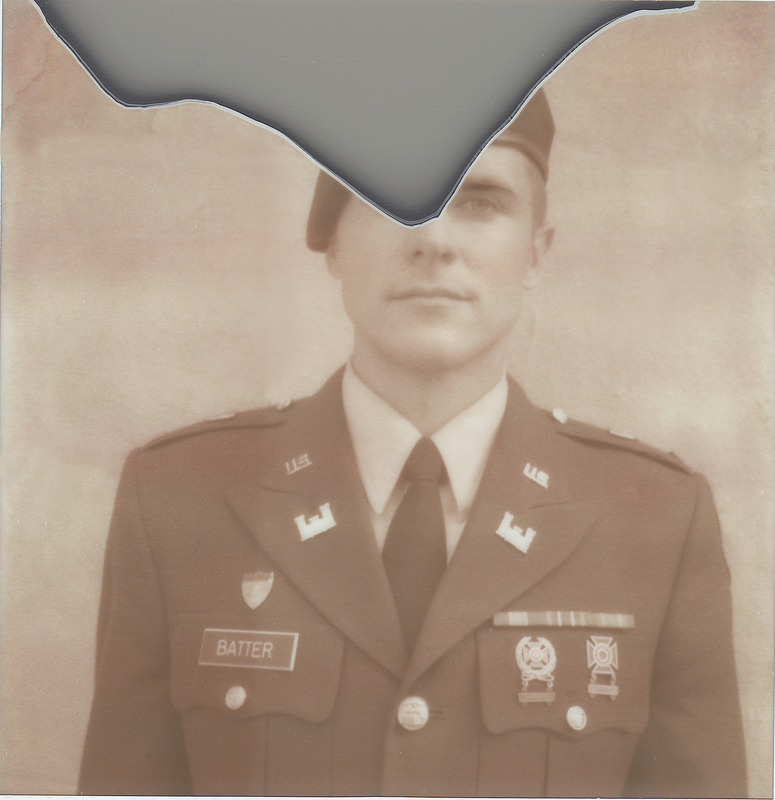 The unique style of Soldberg’s portraits is the result of the old Polaroid instant camera he used, along with a batch of damaged film that he salvaged from a Manhattan camera shop on the same day he started shooting. After taking hundreds of portraits throughout the week, Solberg was dismayed to see that many of the images disappeared only days later due to chemical reactions in the fragile film. Solberg managed to scan some of the surviving portraits and make large archival prints from the digital images. to ripples of iridescent pigment. Even the unblemished photos are routinely overexposed or underexposed, highlighting the contrast of light and dark in each print. The accidents and imperfections of the photographs could have been disastrous, but the final result actually brings the subjects into clearer focus. The anonymous servicemen appear almost as apparitions, their faces emerging from the bright backgrounds as their features take shape through shadows and shading. The crisp lines of military collars and buzzed haircuts are accentuated in the photographs, and even though each portrait is framed in a similar manner–most subjects are captured from the neck up–it’s the subtleties that make each picture unique. Each face tells a story, or at least suggests a story that invites viewers to fill in the blanks. size, a print that’s roughly twice as large as the other portraits in the exhibition. But this portrait is also notable for the gaze of its subject. The young man’s forlorn expression offsets the youthfulness of his smooth porcelain skin, and his downturned eyes seem to recede into the shadow of his standard-issue peaked cap. In this picture, as well as the others, it’s easy to impose attitudes and emotions on the faces of Solberg’s subjects — a far-off weariness, for example, or a swaggering confidence. The truth, however, of who these men are and what they’re feeling and thinking is a mystery. In that respect, the magic of these photographs relies on a viewer to engage the work and examine his or her own assumptions about the kind of young men who enlist for military service and the effect that the service has on them, which is why these strangers will seem so familiar and intimate as soon as you walk into the room. “Service” runs through Saturday, March 29 at the Boyd Satellite Gallery, 440 Julia Street. You haven’t been yet, so go. More information here. Brad Rhines writes about arts and culture in New Orleans and around the South. You can follow him on Twitter.